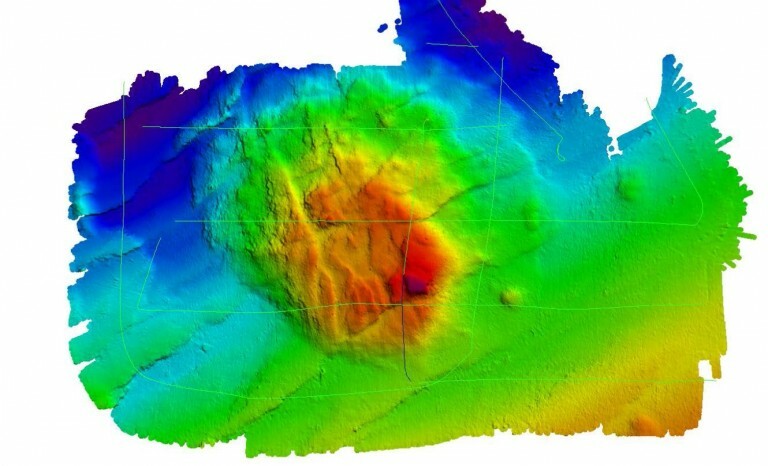 This week Schmidt Ocean Institute announced that Falkor Seamount has been officially documented through the International Hydrographic Organization and UNESCO Intergovernmental Oceanographic Commission..
PALO ALTO, CA – The seamount, or underwater mountain, is likely millions of years old, but went undiscovered until last year. Revealed by Schmidt Ocean Institute’s research vessel Falkor last November, the underwater mountain was found during an expedition to explore the biology and geology of the deepest part of the planet, the Mariana Trench. It was during this expedition that the 2,100 meter high feature found 8,700 meters down was exposed in waters off of Guam in the Western Pacific Ocean. With high- resolution multibeam mapping, research vessel Falkor was able to identify and extensively characterize the seamount. 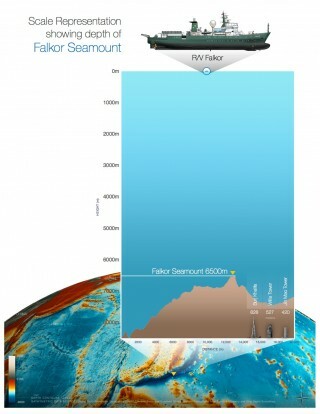 Depth comparison of the newly documented Falkor Seamount. Note size comparisons to buildings. The Mariana Trench expedition is just one of many important research projects that are conducted aboard Falkor. This year, the research vessel has already traversed across the Central and Western Pacific exploring the Tasman Sea, Perth Canyon and the remote Timor Sea off of Western Australia, the Mentawai Quake Zone off the coast of Sumatra, the equatorial Pacific, and is now currently mapping Tamu Massif, the world’s single largest underwater volcano. “It is up to ships like Falkor to continue the global mission to further our understanding of the seas” said Director of Marine Operations Eric King. Research vessel Falkor now proudly shares her name with this seamount. Named after the luck-dragon character in the famous novel and film, The Never Ending Story, Schmidt Ocean Institute hopes that more luck will bestow other research in this ocean region. Years from now, oceanographers will visit Falkor Seamount to continue studies, and contribute another piece of knowledge in our understanding of the mysterious Ocean. Pictures and b-roll available here. 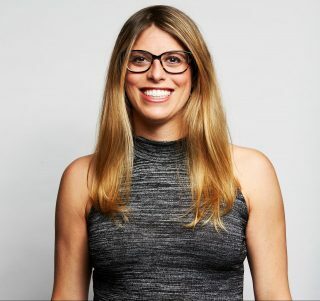 Schmidt Ocean Institute was created by Eric and Wendy Schmidt in 2009 to enable research that expands understanding of the world’s ocean using advanced technology, intelligent observation, and the open sharing of information. Annually the organization invites select scientific teams from around the world to carry out collaborative oceanographic research and technology development aboard its 272-foot research vessel, Falkor, launched in 2012. For more information please visit schmidtocean.org.